Lowongan Kerja PT. 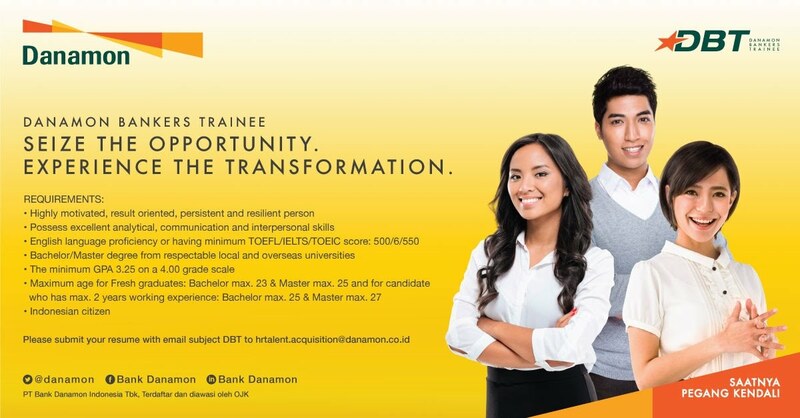 Bank Danamon Indonesia Tbk. Highly motivated, result oriented, persistent, and resilient person. Maximum age for fresh graduate. Bachelor max 23 and master max 25 and for candidate who has max 2 years working experience, bachelor max 25 and master max 27 years old.